This year pack 60 celebrated our Blue & Gold Banquet with 11 Webelos graduating from Cub Scouts and moving on in their scouting careers. 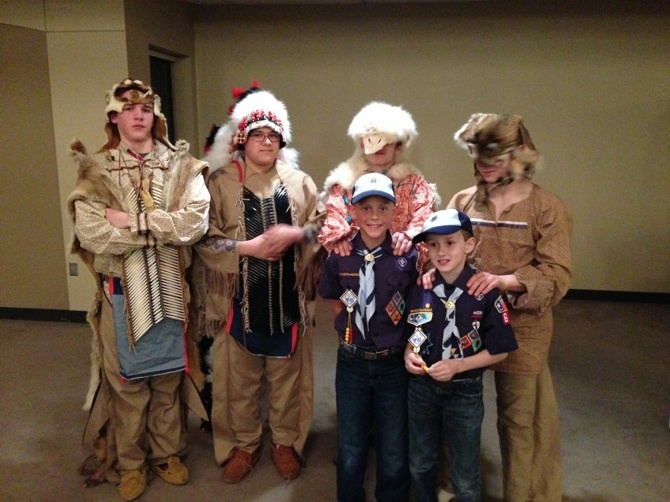 All 11 boys earned the highest achievement in cub scouting, their Arrow of Light! 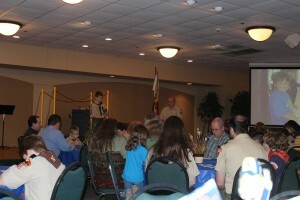 The bridging ceremony was presented by local boy scout troops 1074 and 60. It was a very unique experience for everyone that included full Native American apparel during the ceremony. We would also like to recognize our former leaders who are moving on in to boy scouts as well. Markus Nimocks, Becky Connolly, Shawn Palermo and Pat Kelley. 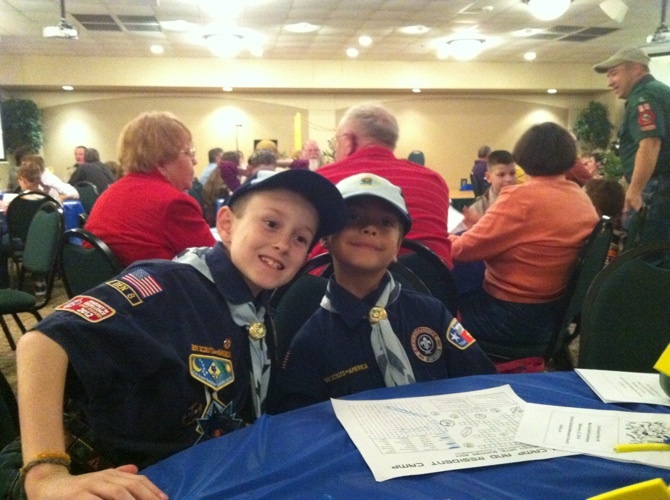 In scouting you truly get out of it what is put in and if not for their steadfast leadership and dedication Pack 60 would not be what it is today. 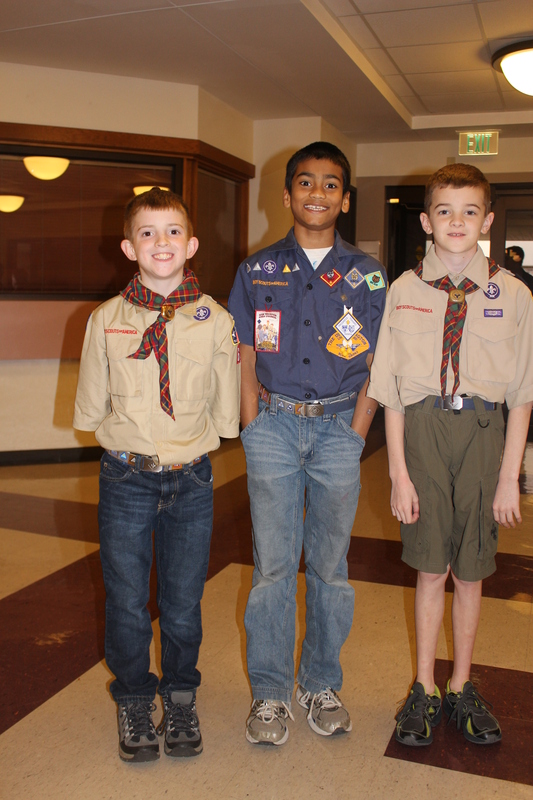 We thank you all and wish you well in your future scouting adventures! 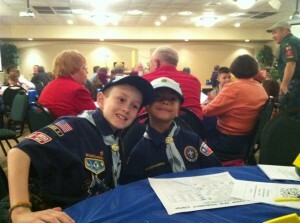 Pack 60 cub scouts participated in the Scouting for Food drive this past weekend. 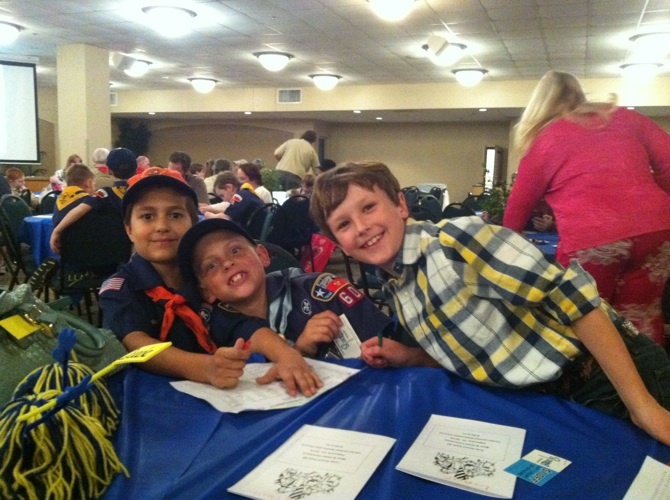 This event has the scouts handing out bags and brochures to neighborhood homes one weekend and then picking them back up on the following weekend. This food is collected and donated to local food pantries for those in need. 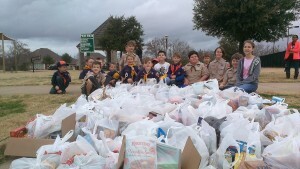 This year we collected 1,094 pounds of food! Way to go scouts!